Light & Darkness Radio: Featured Today! "Galneryus, Grave Digger..."
Been having lots of requests recently and I want to thank all of you for your constant support! Now Hope you guys ready for today Featured bands! 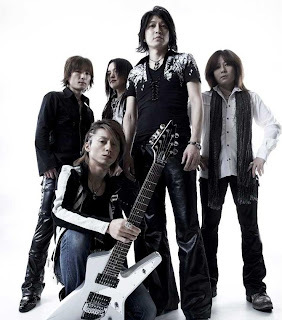 Galneryus (JP) - Galneryus was formed in 2001 by guitarist Syu (formerly from Valkyr, Animetal, Aushvitz, and Masaki Project) along with vocalist Masahiro "Yama-B" Yamaguchi (frontman of AxBites and solo artist of Rekion, River End and Gunbridge). Both veterans of the Japanese metal scene, they formed Galneryus with the intention to "express both of their musical tastes/ideas" and so they started looking for additional members to complete the band. They recruited A on keyboards (who had previously played with Syu in Valkyr), Shôgo Himuro on bass, and Toshihiro "Tossan" Yui (formerly of Cemetery, Honey Quest) on drums. In October 2001, the band released a 2-track demo titled "United Flag". The demo was self-produced and released independently. This EP started gaining the attention of both fans and independent record labels as well. After playing with other metal bands like Fairy Mirror, Mephistopheles, Galactica Phantom, Mastermind, and Concerto Moon, Galneryus went back to the studio to record a second EP titled Rebel Flag which was released through the independent label Iron Shock in August 2002. The EP again used support musicians to fill the band slots, with Shôgo Himuro again on bass, Toshihiro Yui again on drums, and Yoshinori Kataoka on keyboards (replacing A). After this EP, the band started receiving several record deals and started touring more. In 2003, they were invited to play the "Melodic Metal Festival" in Japan which featured Swedish power metal band Dragonland, as well as Australia's Dungeon. As a result, Dragonland invited Galneryus to play with them the next time they toured Japan. Galneryus was also invited to perform on two metal compilation cover albums with other bands such as Masaki Project, Saber Tiger, and Mephistopheles. Galneryus performed the song "Black Diamond" (originally from Finnishpower metal band Stratovarius) on the compilation album Stand Proud! III and performed the song "Soldier of Fortune" (from Japanese heavy metal band Loudness) on the compilation album Japanese Heavy Metal Tribute Tamashii II. For these songs, the band used supporting musicians Toshihiro Yui on drums, Yusuke on bass, and Yuhki on keyboards. Both compilation albums were released simultaneously in December 2002 on the same day through Iron Shock and distributed through the record label VAP. VAP itself signed Galneryus and the band set to work on writing and recording their full-length debut album The Flag of Punishment which featured all 5 EP songs re-written and re-recorded and also cover art by famed Final Fantasy artist Yoshitaka Amano. At this time Galneryus ceased using temporary members and permanently recruited Ryosuke "Tsui" Matsui (formerly of AxBites) on bass, Yuhki (formerly of Ark Storm and Marge Litch) on keyboards and Junichi Sato (formerly of Concerto Moon) on drums. The album was finally released in October 2003. In March 2005, Galneryus released their second album Advance to the Fall, and later released their third full-length album Beyond the End of Despair... in July 2006. After the "Live for Rebirth" tour, Tsui left Galneryus and Yu-To (later, Leda of Deluhi) was recruited to fill in for bass. The band shortly after released their fourth album One for All - All for One on August 22, 2007. On October 27, they released their first cover album Voices from the Past. Galneryus then debuted on iTunes Music Store, making their material available worldwide. On October 10, 2008, it was announced that vocalist Yama-B and bassist Yu-To were leaving the band at the end of the Back To The Flag tour. 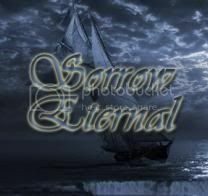 The decision was made during the recording/releasing of their fifth full album,Reincarnation. According to Yama-B's note left to the fans on Galneryus' official site, he left due to the band's growth and change. In the note Yama-B stated that due to the differences in the style of their music, he was leaving. He and the rest of Galneryus and Mr. Hisatake are all okay with this and wish each other well as they go their separate ways.On October 23, they released their second cover album Voices from the Past II, and on March 25, 2009, Galneryus released two "best of" albums. Their performance at "Loud Park Festival 2009" was the first to feature new vocalist Masatoshi "Sho" Ono and bassist Taka. On April 21, 2010, they released the Digital EP Beginning of the Resurrection, and on June 23, 2010 released their full-length album, Resurrection. On October 27, they released their third cover album Voices from the Past III. Grave Digger (DE) - After various appearances at small festivals, the band recorded two songs for the compilation album Rock from Hell in 1983. A year later, Grave Digger, now comprising Chris Boltendahl (vocals), Peter Masson (guitar), Willi Lackmann (bass) and Albert Eckardt (drums), released their debut album Heavy Metal Breakdown. In 1985, with Lackmann having left the band, they recorded and released their second album Witch Hunter. Only after the album was completed, a replacement on bass was found in the form of C.F. Brank. Further festival appearances followed, a tour with Helloween as special guest and, finally, their third album War Games in January 1986. To promote this album, a triple headline tour with Celtic Frost and Helloween followed. Thereafter, Peter Masson gave way to Uwe Lulis; in 1987 the band's name was changed toDigger, the name under which they released the album Stronger Than Ever. This album hardly had anything in common with the earlier music of Grave Digger. It was more an attempt to reach the masses with mainstream rock like that of Bon Jovi or Van Halen. The album flopped, as it was not accepted by fans or the masses. As a result, Chris Boltendahl declared, at the end of 1987, the break up of the band. However, the band partially reformed in 1991. Christ Boltendahl and Uwe Lulis, along with two valuable newcomers, Tomi Göttlich and Jörg Michael, who had been the drummers for Rage and Running Wild, released a comeback record, The Reaper. This album returned to the true roots of Grave Digger. In the same year, the album Best of the Eighties was released; it represented a quasi Best-of-Album of their earlier songs. The album Symphony of Death followed in 1994. In the interim, Grave Digger, now with a new drummer, Frank Ullrich, toured Germany, playing as the warm-up act for Manowar. In 1995 the album Heart of Darkness appeared; it was a very dark album with many influences from the early works of Annihilator. In 1996, Stefan Arnold became the band's new drummer. This year also marked the release of the concept album Tunes of War, which dealt with the early history of Scotland. This album was the first part of the Middle Ages Trilogy, completed in 1999. The second album, Knights of the Cross, with Jens Becker as bass guitarist, was completed in 1997 and was about the rise and fall of the Knights Templar. The final part of the trilogy, finished in 1999, Excalibur explored the legend of King Arthur and the Knights of the Round Table. Shortly after this followed a world tour with the keyboardist Hans-Peter Katzenburg, who later became a permanent bandmember. In 2000, Grave Digger celebrated their 20th anniversary; to mark the occasion they performed at a sell-out concert at the Zeche in Bochum. Many of the band's most popular songs were played alongside other less well-known ones. There were also a number of different supporting acts appearing with Grave Digger. This concert also marked a defining chapter in the band's history, as Uwe Lulis left a short while before the concert because of personal and business reasons. Lulis finally called his new band Rebellion. A replacement, in the form of the ex-Rage guitarist, Manni Schmidt, was found. Along with him and the new record label Nuclear Blast, the album The Grave Digger appeared in 2001. The works of Edgar Allan Poe served as an inspiration for the lyrics of the new album. Their first live album, Tunes of Wacken, appeared in 2002. This was coupled with the release of their first DVD, Wacken Open Air. About a year later, a further concept album, Rheingold, appeared, which centered on the opera Der Ring des Nibelungen by Richard Wagner. After the successful Rheingold-Tour, the band recorded another album, The Last Supper, with Symphorce and Wizard; however, unlike previous albums, The Last Supper was not a concept album, despite several songs about the last days of Jesus. A few journalists described the album as the best since Tunes of War or Heavy Metal Breakdown. It was released on January 17, 2005. Less than a month later, the band began a tour withStormhammer and Astral Doors in Andernach, the birthplace of Manni Schmidt. October 2005 saw the release of a live DVD recording of the Last Supper Tour and the São Paulo concert. The title, 25 to Live, commemorated the band's 25th anniversary. Grave Digger released their follow-up to The Last Supper, Liberty or Death on January 12, 2007. A Double-Headline Tour together with Therion followed, beginning January 17, 2007 in Essen. In mid August, 2008, the band entered Principal studios with additional guitarist Thilo Hermann to record their 13th studio album entitled Ballads of a Hangman. It was their first album with twin guitars. In February 2009 the band parted ways with Thilo Hermann. In October 2009 Manni Schmidt left the band due to ongoing disagreements with Boltendahl. An old friend of the band, guitarist Axel Ritt (Domain) was chosen as a temporary replacement for Schmidt to play out the remaining tour dates. On January 12, 2010, it was officially announced that Axel Ritt is now an official full time member of Grave Digger. Since mid-May to mid-July 2010, the band finished recording their new album The Clans Will Rise Again which is set for release in Europe on October 1, 2010 via Napalm Records with a North American release following soon after. The album is a loose sequel of the Tunes of War album, but this time not a concept album about the Scottish history, rather a work about Scotland, its mysticism and its people. On September 11, 2010, Grave Digger released a video for Highland Farewell, the fourth track appearing on The Clans Will Rise Again. If you're searching for the most recommended Bitcoin exchange company, then you should choose YoBit.